Specifications North America Input current at 100% Input power at 100% Light source Lamp base 120 Volt 5.4 Amps 646 Watt LED 208 Volt 3.1 Amps 631 Watt LED Osram and Samsung LEDs 240 Volt 2.6 Amps 629 Watt LED Osram and Samsung LEDs 277 Volt 2.3 Amps 629 Watt LED Osram and Samsung LEDs Features & Benefits Form factor The Gavita Pro 1650e LED ML is a project fixture by design. It installs right out of the box, reducing installation costs. Built around high-quality Philips-Advance drivers and top bin LEDs, the fixture breathes functionality and robustness. 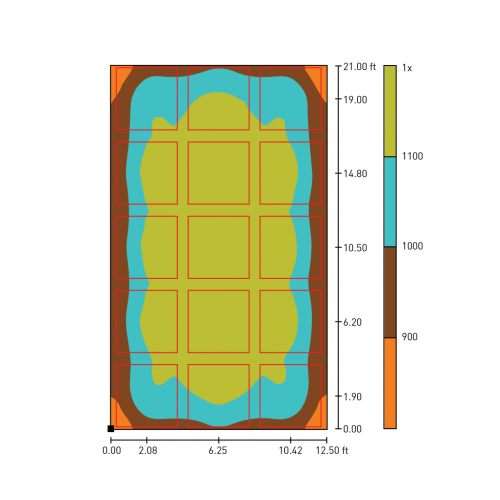 Its low height and external interface make it ideal for multi-layer cultivation. Output and efficiency With 1650 μmol s-1 total output, the Pro 1650e LED is a flowering fixture. It can achieve a high average ppfd of 1000 μmol s-1 m-2 on your crop. For mixed vegetative/flowering environments and to tune the amount of light to the cultivars you grow, the fixture can be dimmed to 50% without any loss of efficiency. 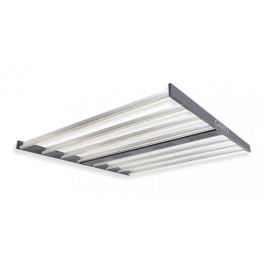 The high efficiency and low power LED configuration with 8 LED bars reduces the temperature of the LEDs, increasing the output and improving their light maintenance. External control The Pro 1650e LED is compatible with the Gavita Master controllers. It is equipped with an external e-series (Repeater Bus) adapter to which you connect power and control signal. You can daisy chain up to 500 fixtures per controller port with the Gavita Repeater Bus control interface. The fixture is universal for 120-277V systems. Depending on the required voltage, we supply a cable with 120V plug, 240V plug, or open-end cable for industrial voltages and custom installations. The cables are connected to the e-series adapter and the fixture with an industrial-grade Wieland connector. The Pro 1650e LED is compatible with Priva professional grow room control systems, taking your cultivation control and automation to a new level of horticultural professionalism. More information Spectrum A full spectrum increases the quality of your crop. 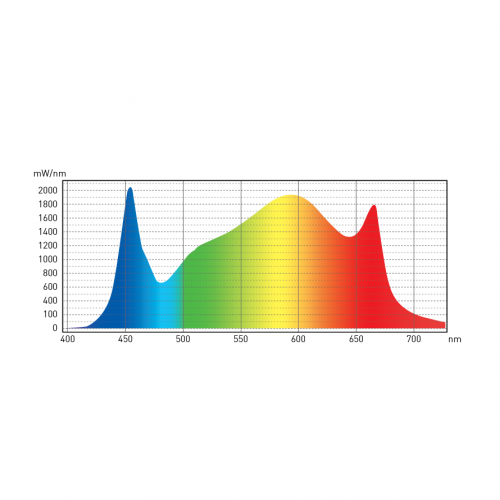 Our combination of white and red LEDs results in a relatively high ratio of blue light. Blue light keeps your crop compact in the vegetative stage and adds to an optimal morphogenesis and light interception by the plant. It maintains the photosynthetic system of the plant to optimize its photosynthetic potential and can shorten your flowering period. Blue light also triggers stomatal opening during the light period. The spread of the red LEDs guarantees a uniformly mixed spectrum on your crop at a short distance. Uniformity Unless otherwise specified in your bespoke light calculation, we advise you to hang the fixture 2ft from the crop. This allows for maximum uniformity.